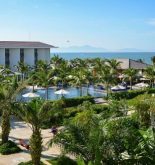 The Golden Sand Resort & Spa Hoi An is nestled on the beautiful white sand Cua Dai beach, so this luxurious five star golden sand resort is nominated one of the top of resorts in Vietnam by World Tourism Organization. It also provides perfect services as well as a wide range of different rooms so that tourists can select freely. 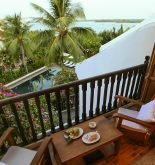 All of them are designed comfortably with modern facilities so this is a perfect selection for a relaxing vacation. 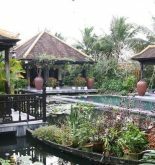 This resort prides on owning one of the largest swimming pools in Vietnam, with the water sport facilities and Vietnamese cuisine restaurant. In a word, the Golden Sand Resort & Spa itself is paradise for people who are looking for serenity. Address: Thanh Nien Road, Hoi An, Quang Nam, Vietnam. 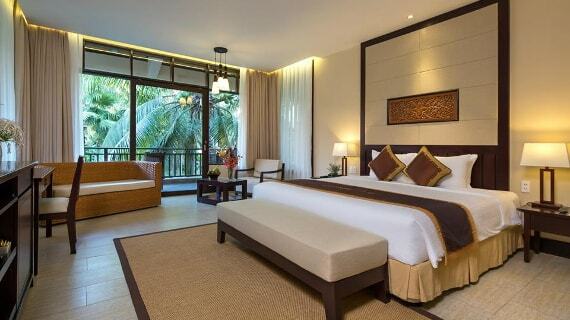 This information has been supplied by Golden Sand Resort & Spa Hoi An.